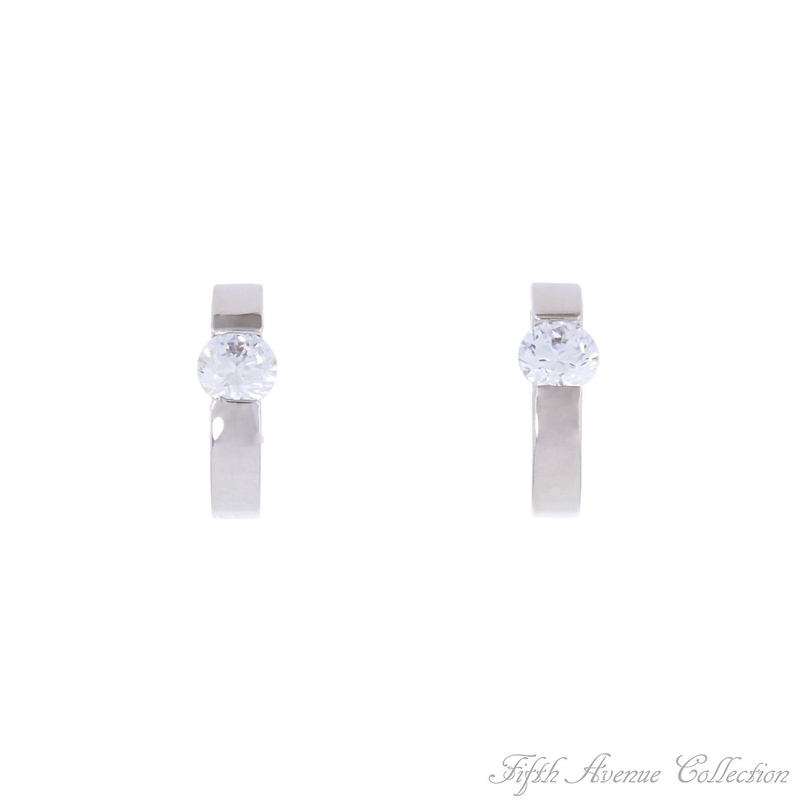 Douces et simples, les boucles d'oreilles "Sweet Style' de Fifth Avenue collection se composent de demi-cercles plats et d'un simple zircon créant la touche parfaite de l'élégance. Sometimes all you want is a tasteful hint of style to freshen up your look. 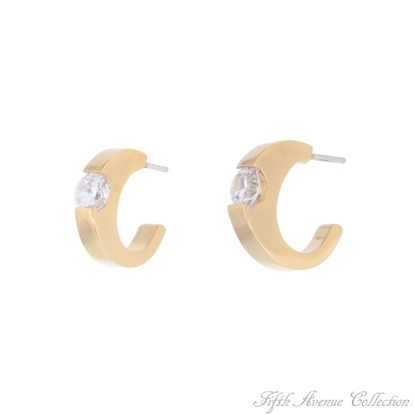 Sweet and simple, Fifth Avenue Collection’s “Sweet Style” earrings feature flat edged demi-hoops of clean gold-finish with a single, modest cubic zirconia creating the perfect touch of elegance. 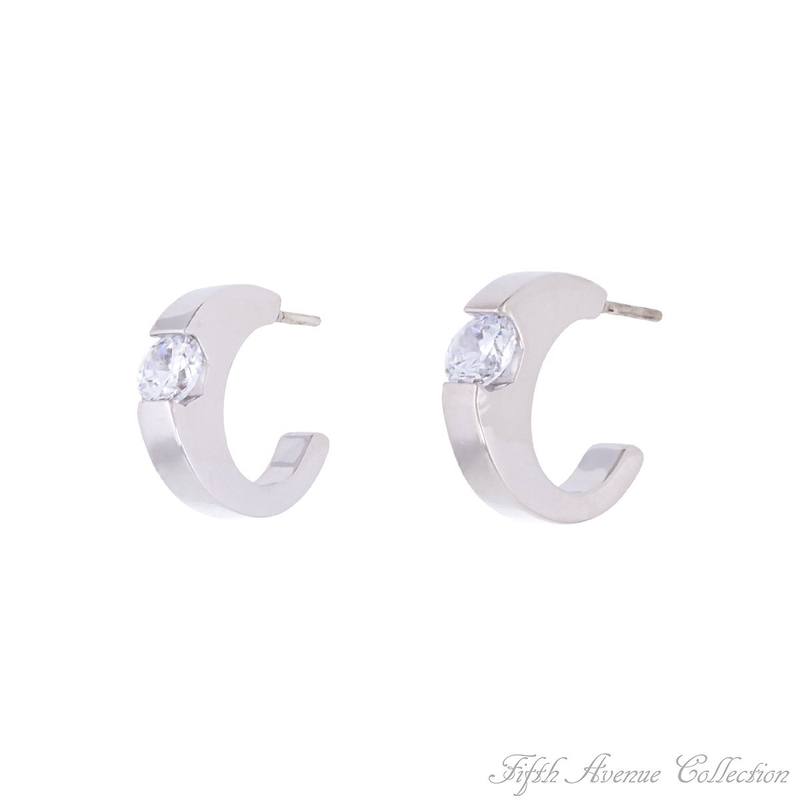 Sometimes all you want is a tasteful hint of style to freshen up your look. 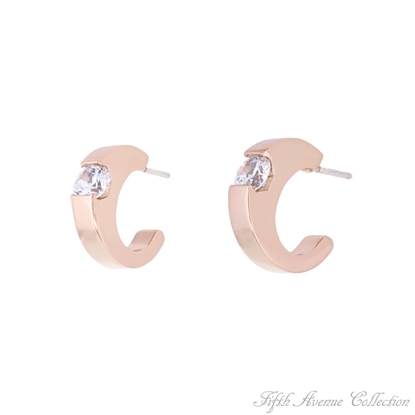 Sweet and simple, Fifth Avenue Collection’s “Sweet Style” earrings feature flat edged demi-hoops of clean rose gold-finish with a single, modest cubic zirconia creating the perfect touch of elegance.